1. Put on a sweater and take a walk. Just walk around your neighborhood. You can look at the fall decorations your neighbors put out. You can enjoy the cool, fresh air. Breath in deeply to get the full effect. 2. Put out your own fall decorations. Use the beautiful fall colors to accent your front yard and porch. Or just put a fall wreath on your front door. Find a local orchard and pick a peck of fresh apples. When you come home you can make baked apple rings with cinnamon or applesauce or even a gluten-free apple pie. 4. Go to the park and look at the beautiful leaves changing colors. Gather up some leaves and take them home. You can decorate your house with them. Maybe you can even iron them between two pieces of waxed paper and hang them in your window, just like we did when we were kids. 5. Go to the metro parks and take a hike. Again, check the metro parks, they have hay rides often in the fall. 7. Plant bulbs in your garden. You get to enjoy the crisp fall air and sunshine and then in the spring you get to enjoy the beautiful flowers you’ve planted. 8. Take your sweetie and get lost in a corn maze. You get to enjoy the crisp air and the smell of the fresh earth. Remember how much fun it was when you were young. 9. Tailgate at your favorite team’s football game. Even if it’s a high school team. Take a portable grill and some folding chairs and grill up some delicious treats. Don’t forget to keep the hot cocoa flowing (with almond milk, of course). You get to relax and enjoy the smooth roads and the beautiful fall foliage. Open the windows in the car so you can smell the sweet, fresh air. 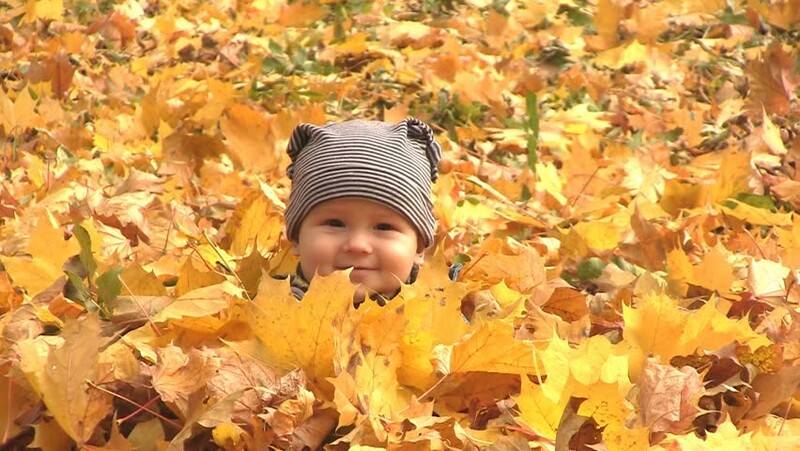 Cover yourself up with the leaves and throw them around, just like when you were a kid. Sure you have to rake them again but think of the extra exercise you are getting and the fun you got to have. Be creative with it. Hang them out in your yard. All winter you will be able to enjoy watching the birds coming to eat in our yard. You can put them on a plate around a pillar candle. Or you can put them in a clear glass bowl and add some of those beautiful, colorful leaves you picked up too. 14. Pick pumpkins at a pumpkin patch. Bring them home and carve them. Then you get to roast the pumpkin seeds and have a great treat. 15. Go on a graveyard tour. Try to make sure it’s a haunted graveyard. Even if you don’t believe in ghosts, you get to get outside and walk and enjoy being with people. And who knows, if you’re not a believer, maybe your experience will change your mind. It was fun when you were a kid. It’ll be just as much fun as an adult. My family does it on Halloween. We all gather together and bring a potluck dinner, then let all the kids go trick or treating while we sit outside and pass out candy. We usually pull a portable fire pit down the driveway so we can sit around it and be warm. Invite your family and friends. Sit outside and relax by the warm fire enjoying the company of your loved ones. Invite your family and friends and get creative and spooky! That way you get to enjoy your family and don’t have to do all the work. I recommend cooking the turkey. It’s the easiest to make and your house smells wonderful. Plus you’ll get to show off your beautiful pine cone centerpiece that you made. Be thankful for all you have. Be thankful for your family and friends. Be thankful for your health. Remember to tell the important people in your life that you love them. And most of all have a fun fall and be happy.